EMS asbestos site surveyors spent two days on site at Bredenbury Court, near Bromyard in North Herefordshire. A refurbishment asbestos survey was required throughout the grade 2 listed building and various outbuildings. 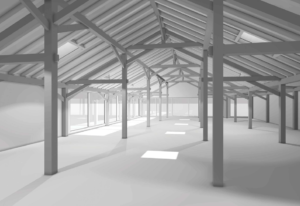 This is to ensure the safety of contractors during extensive refurbishment work to turn the site into a prestigious wedding venue. Asbestos surveys are necessary before refurbishment work to ensure that any asbestos contained with the building is located, managed or removed prior to work commencing. Asbestos is safe whilst in good condition, on- site and managed. However, if disturbed or damaged during construction work it can release fibres into the air. It is these fibres that can be a danger to health. Conducting a thorough asbestos survey to a defined scope within a building before refurbishment, means that asbestos can be identified. This ensures high safety standards for workers.The building, which was most formerly used as a school, had a management asbestos survey in place. However, due to the level of refurbishment planned, a more intrusive survey was required. The building is most commonly known by its recent identity as St Richards Preparatory School which closed in 2016. 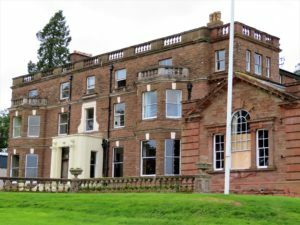 The building was first purchased for use as a school after the first World War. Upkeep of the large home and grounds became unmanageable and it was bought by Cheltenham Ladies College who added the classroom block and swimming pool. It was acquired by St Richards in 1968 and remained a school until its closure in June 2016. Built in 1810 the house and grounds had an extensive and colourful residential history prior to this. The 18th century house was remodelled in 1873 by T.H Wyatt, and the 19th Century gardens feature a serpentine walk, shrubberies and a lake. It was a family home first and foremost, but was also a venue for many lavish parties. These parties took advantage of its fantastic ball room space which was added at the turn of the 20th Century. A dining room with an ornate vaulted ceiling was also added during this period. EMS are pleased that the building will be restored back to its roots, and once again be an esteemed and glamorous events venue. Bredenbury Court’s Oak Barn glazed walls will overlook the surrounding countryside and distant Malverns and provides an unforgettable ambience for hosting guests. 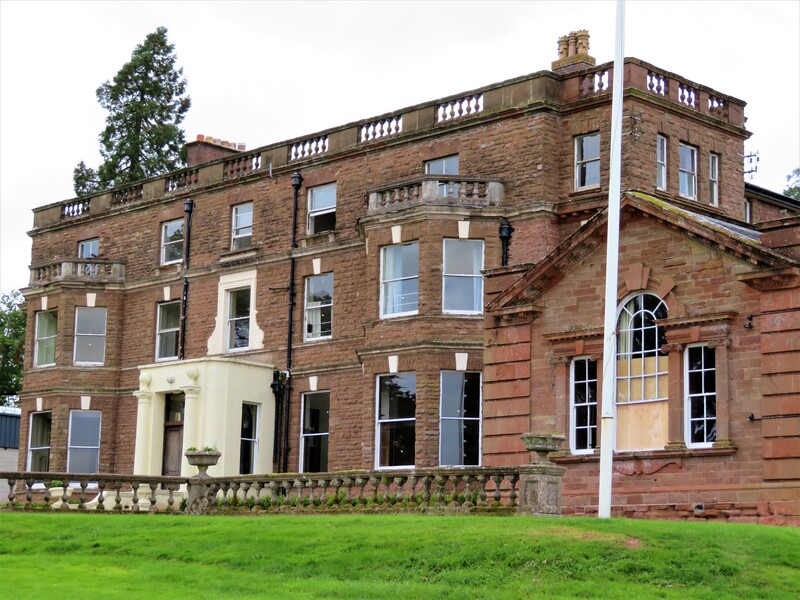 Nestled amidst a rolling Herefordshire countryside Bredenbury Court enjoys stunning views over the mature and private 30 acre estate, surrounding countryside and onwards to the distant Malvern Hills some 15 miles away. Bredenbury Court, a family-run business, is scheduled to open for its first function in Spring 2019 as an Exclusive Use Country House Barn Wedding Venue with Accommodation; bookings being taken from Christmas 2017 onwards. EMS wish Bredenbury Court Wedding Venue every success with the exciting venture and ongoing renovation.